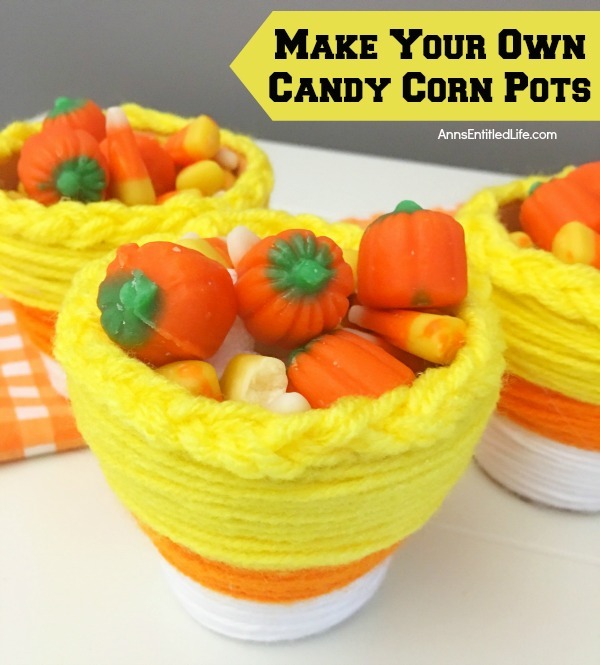 These DIY Candy Corn Pots are simple to make. 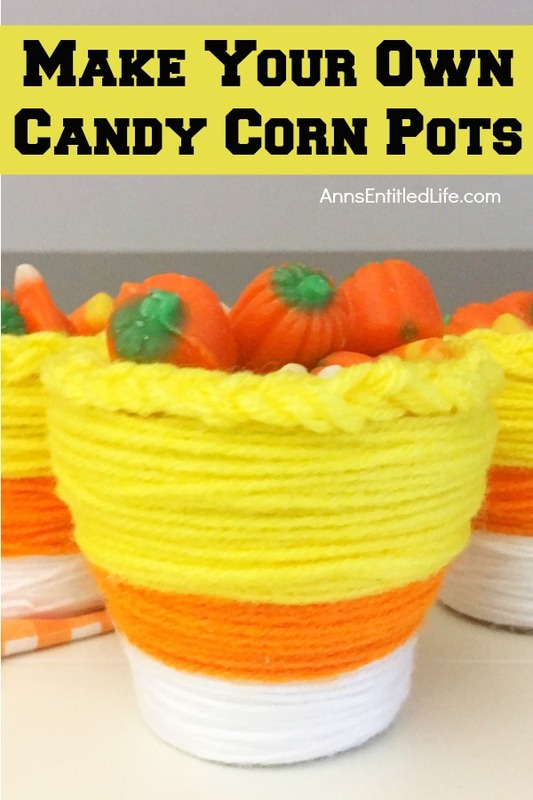 Dress up your pots for autumn or Halloween with this sweet candy corn decoration. 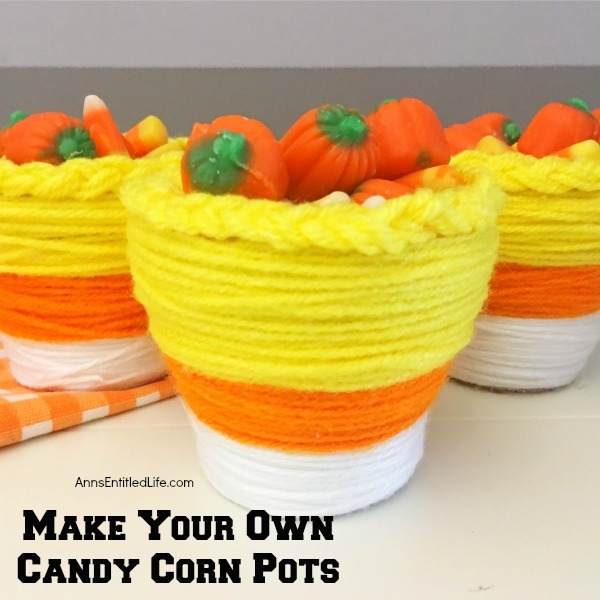 Perfect for planting herbs in the fall for your kitchen window, or to hold candy corn candy, Halloween treats or nuts on a sideboard, mantel or end table, these do it yourself candy corn pots are a nice touch of whimsical fall décor. 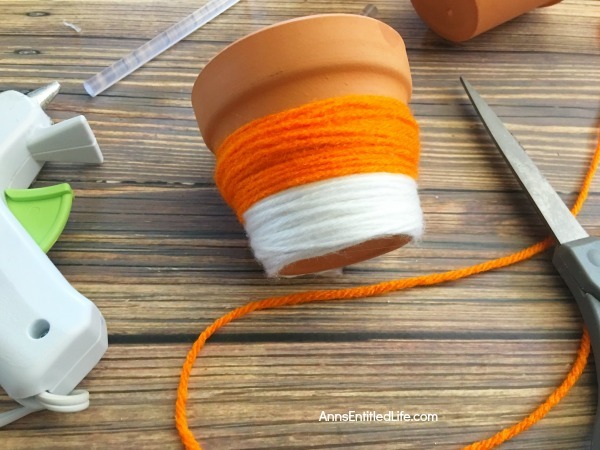 • Hot glue the end of your white yarn to the bottom edge of your terra cotta pot and begin wrapping it around and around until you get about ¼” way up. 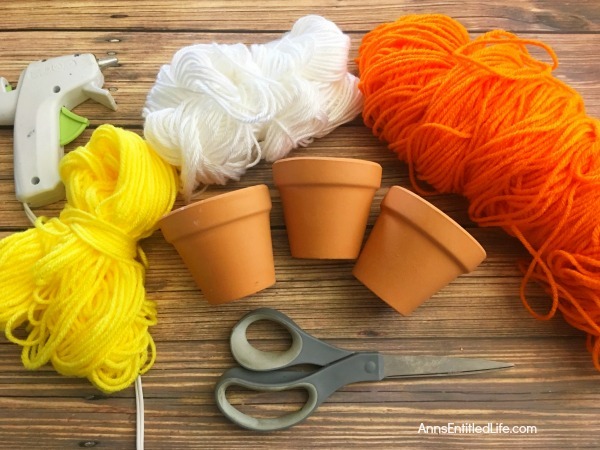 • Now continue to wrap your white yarn back down to the bottom of your pot, making a second layer of yarn. 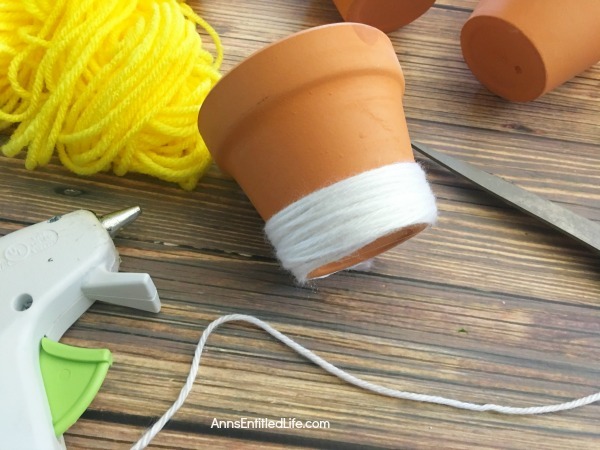 • Once you reach the bottom of your pot, cut the yarn and hot glue the piece of yarn down onto the wrapped white yarn. 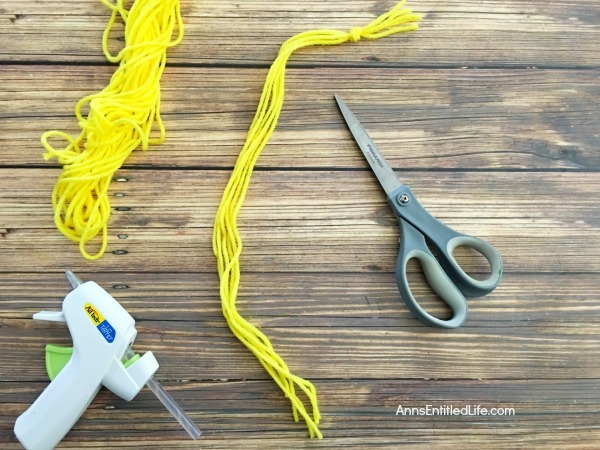 • Now repeat steps the last three with your orange yarn, starting right where you left off with your white yarn. 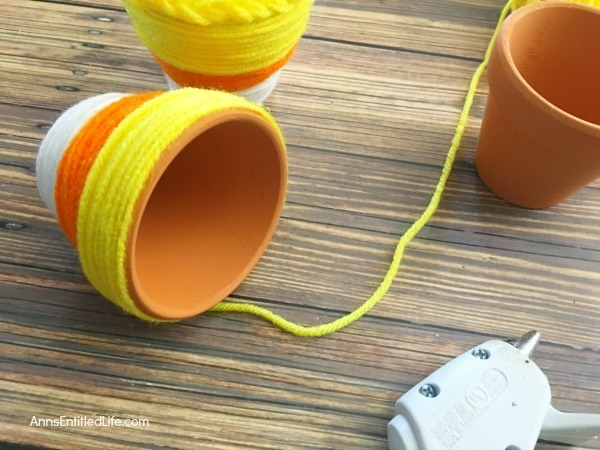 • Now repeat steps first three steps with your yellow yarn for the remaining open area on the pot. 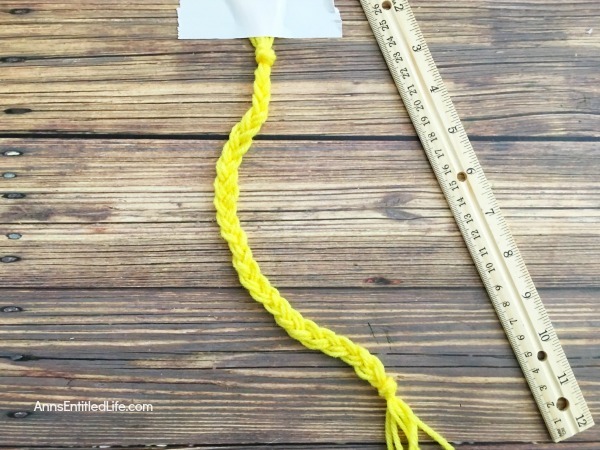 • Measure out 6 pieces of yellow yarn about 14″ in length and tie the strands into a knot towards the top. 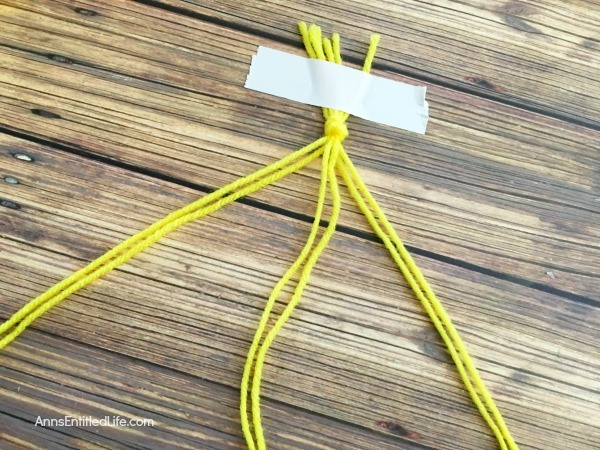 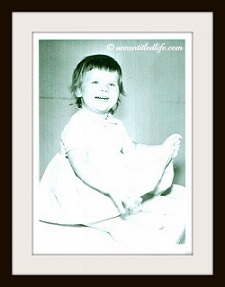 • Duct tape the strands onto the table and separate into 3 sections (2 pieces of yarn in each section). 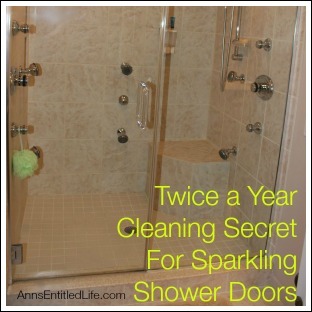 • Braid your strands together then tie the end into a knot. 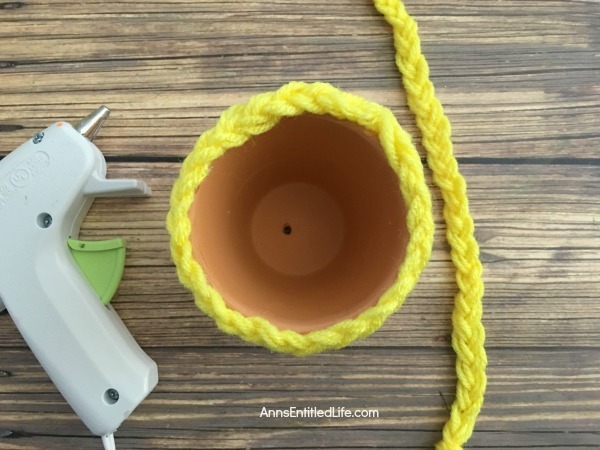 • Hot glue the braided yarn onto the rim of your pot, trim the knots off the ends and carefully glue the loose ends together on the rim. 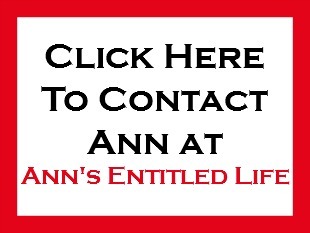 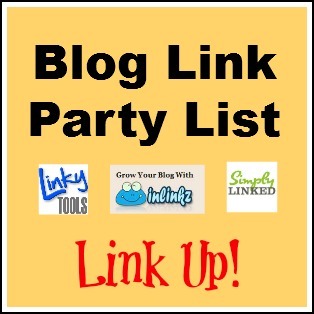 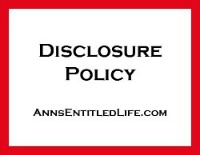 • Fill with small Halloween treats, nuts, hard candy, etc. 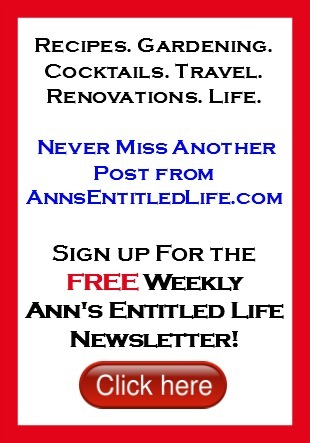 • You can also use these for real pots for herbs, small indoor plants, etc. 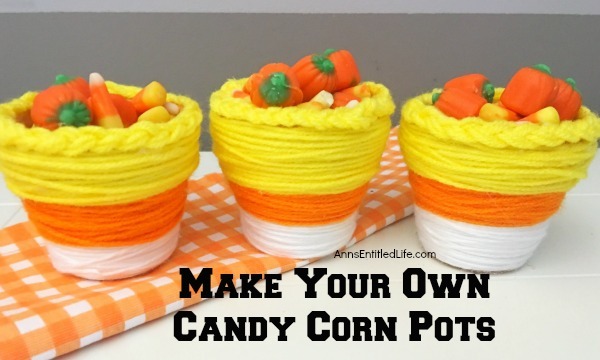 • To print out the DIY Candy Corn Pot instructions, click here.